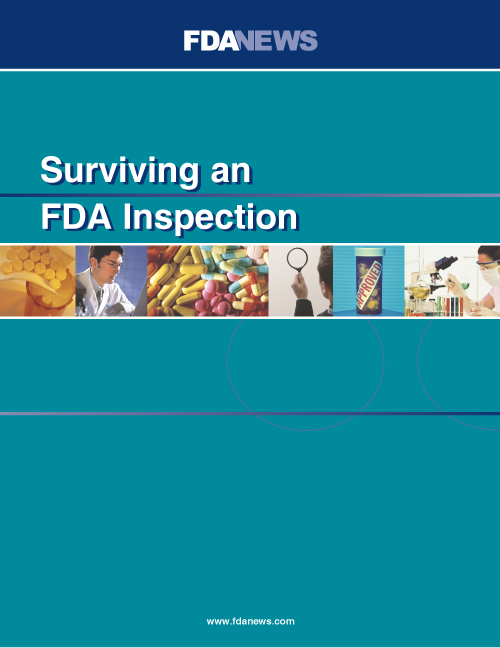 The FDA is changing the way it handles inspections. Even if you passed an inspection before, new requirements — and new inspection practices — can leave you exposed to enforcement. Under the new “integrated quality assessment” model a team of reviewers and investigators will be assigned to follow individual products throughout their lifecyle — from application review to postmarket surveillance. The team will follow all the inspection rules, policies and training they always have. But because drugmakers will have a collaborative relationship with their team, they should already have an idea of what to expect. Surviving the New FDA Inspection Plan: A Drugmaker’s Guide to Working with the Agency explains the agency’s integrated approach and how you can make the most of the FDA’s quality priorities and inspection procedures. It provides the latest versions of all the rules, guidances and policies the govern CDER inspections. To help integrate and apply all the information in more than 800 pages of documents, the guide provides a checklist of inspection requirements that will ensure you are ready when the FDA calls. The report also includes Chapter 5 of the 2018 Investigations Operations Manual which is used to train investigators to conduct establishment inspections and field management directives that instruct investigators. Get ready for your next inspection and understand the team approach with Surviving the New FDA Inspection Plan.